The Lionesses have come home. Finland is in Group A with the United States, Canada, Russia, and Switzerland. There’s aging gracefully, and then there’s looking the concept of age right in the eye and extending a middle finger before skating off in laughter. 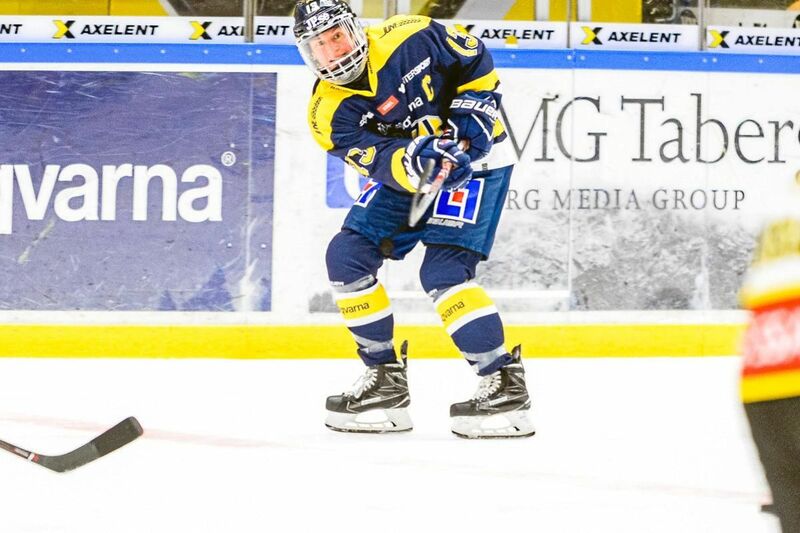 Nothing about Sallinen’s numbers suggest she’s 45 years old; she led the SDHL’s HV71 this year with 51 points (14 goals, 37 assists), good for seventh in league scoring. At the 2018 PyeongChang Olympics Sallinen averaged 22.08 minutes of ice time over six games, second-highest on the team behind captain Jenni Hiirikoski. In the latter half of her career post-2013 comeback Sallinen’s scoring shifted into more of a playmaking role, but she’s still got the proverbial nose for the net, as demonstrated by her four goals in South Korea. She’s a consummate well-rounded center who sees time on special teams as well as even-strength. This is almost certainly the swan song of a legendary career. Elite sport of any gender is lucky to have athletes like Sallinen, and if this is in fact her last tournament, then she leaves hockey that much better for having been a part of it. Holopainen’s had a coming-out season in both club and international competition. She had her best season yet with KalPa in the Naisten Liiga, finishing third in team scoring behind Tanja Niskanen and Matilda Nilsson. She was the Naisten Liiga’s Player of the Month for January. Internationally she saw time on the senior team at the Euro Hockey Tournament as well as with the U18s in Japan this winter. 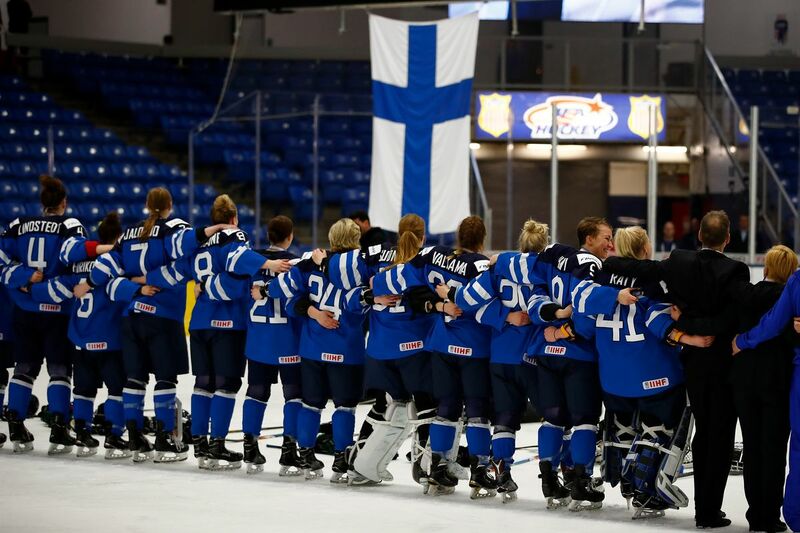 Her tournament-leading offense (8 points, 5 g, 3 a) helped power Finland to their first-ever medal in the competition. Reminding an audience to look out for Noora Räty in goal is like reminding a fish to swim. 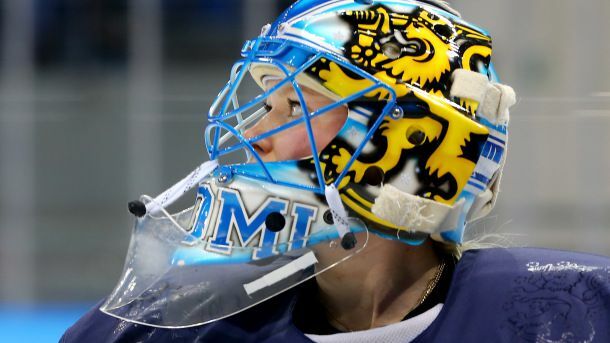 She’s one of the most elite goaltenders on earth, a four-time Olympian, and arguably the face of Finnish women’s hockey internationally. Like Sallinen, this may very well be Räty’s last tournament. She turns 30 in May, recently purchased a home in Minnesota, and hinted at retirement. Not only is she on her native soil, she’s also in her hometown: having this tournament in Espoo is as much of a homecoming as she could hope for, short of the IIHF pouring a backyard rink at her childhood home. There are worse ways to finish a career. This tournament she’s sharing the crease with Eveliina Suonpää and Jenna Silvonen. With Meeri Räisänen not named to the roster due to a lingering lower-body injury, expect Räty to see the majority of playing time. The 2017 World Championships in Ann Arbor saw the Naisleijonat not only win bronze, but defeat Canada for the first time in senior competition. The 4-3 victory came in the preliminary rounds, but it marked a major moment and showed just how much the program has grown. As it’s the start of a quad and quite possibly the last hurrah for some Naisleijonat veterans, head coach Pasi Mustonen is looking to the next generation. He held a training camp in mid-March designed for players in the pipeline to get more involved and active with the senior team even if they wouldn’t necessarily make the final cut. Three players who won bronze at this year’s U18 World Championships were named to the senior team: Elisa Holopainen, defender Nelli Laitinen, and forward Viivi Vainikka. Goaltender Jenna Silvonen is 20; forward Petra Nieminen, 19, was a member of the bronze medal Olympic team last winter. The Naisleijonat have been preparing for this tournament with just as much vigor and enthusiasm as they did for the Olympics. In some ways this tournament matters more, a chance to show both their country and the world their confidence, their growth, and their pride in how far they’ve come. Look for a hungry and confident team all tournament long. 2019 Worlds: The Call What just happened in Espoo? Venla Hovi announces retirement Naisleijonat forward calls it a career.